These cute, little, bright things are no longer just pouch tops. 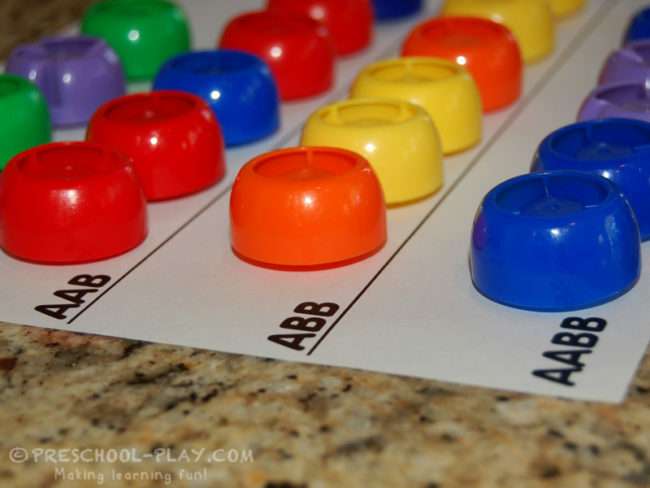 They are now Number Bingo markers, graphing devices, one-to-one correspondence utensils, sorting and counting tools..the list goes on and on. 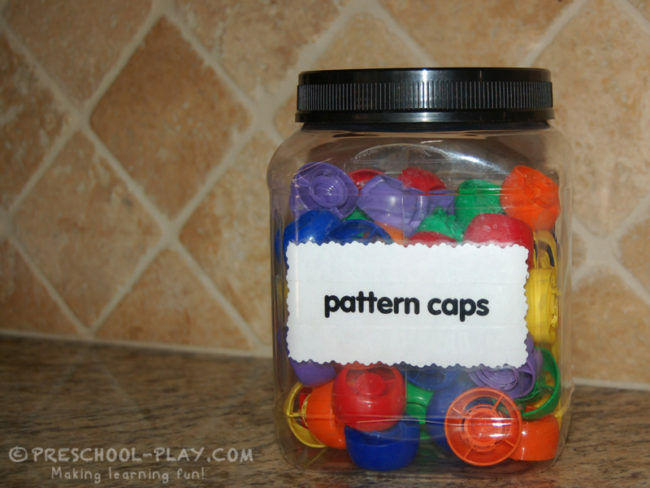 I decided to place a container in my math center and label it “pattern caps”. 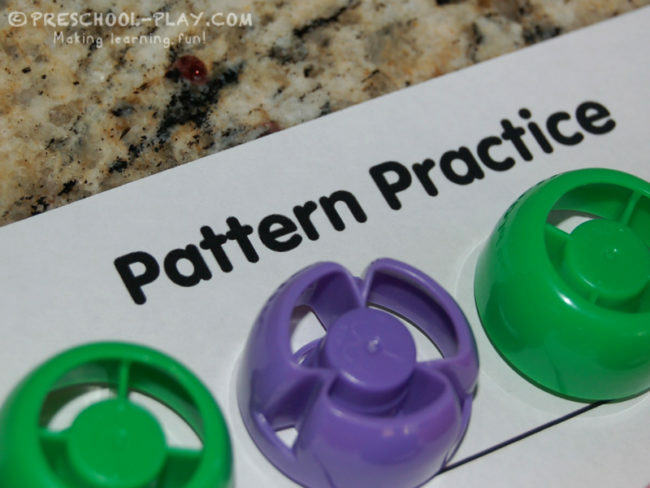 The pattern caps are one of the most sought after items in the classroom. I don’t know exactly why they are so popular, but I am wondering if it is because the children know where they came from; the tops are familiar to them. 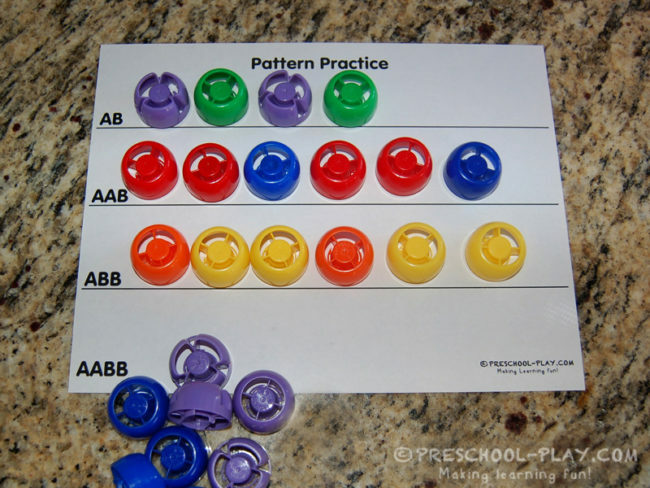 The caps are easy to grasp and place, and they are large and bold enough to aid the child in distinguishing what is a pattern and what is not a pattern. Here they are being used with one of our Pattern Practice worksheets. 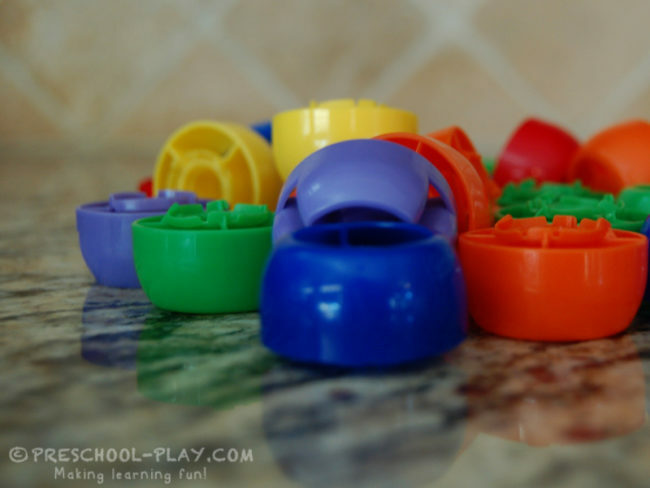 Needless to say, these squeezie caps have turned into an educational math manipulative. So next time you are asked to open a pouch, think twice before tossing the top. Download our free AB Pattern Practice worksheet here.